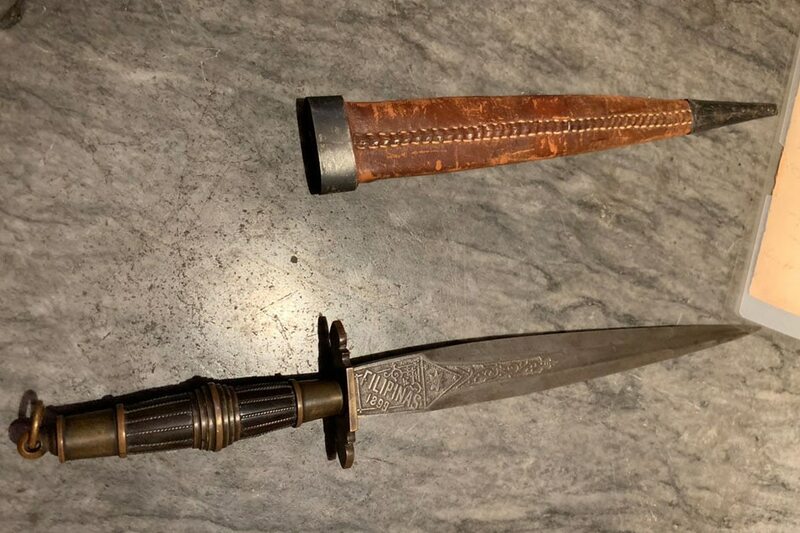 Gallery owner Jaime Ponce de Leon says he will relay the government’s request to the sellers, but ultimately the decision rests with those who own the historic pieces which include a map, a dagger, a telegram and other historical documents. 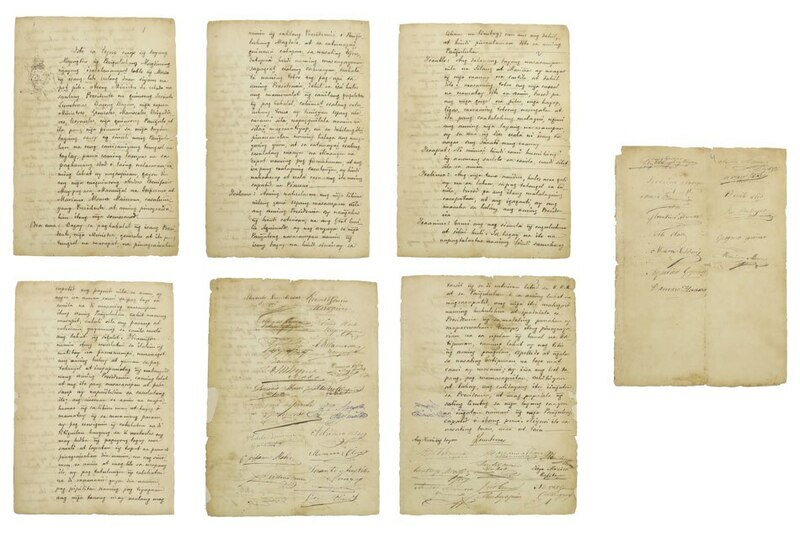 The government is asking Leon Gallery to stop the sale of a number of historical documents and items it is auctioning this Saturday, December 1, as part of its Kingly Treasures Auction, featuring art works, antiques and furniture. 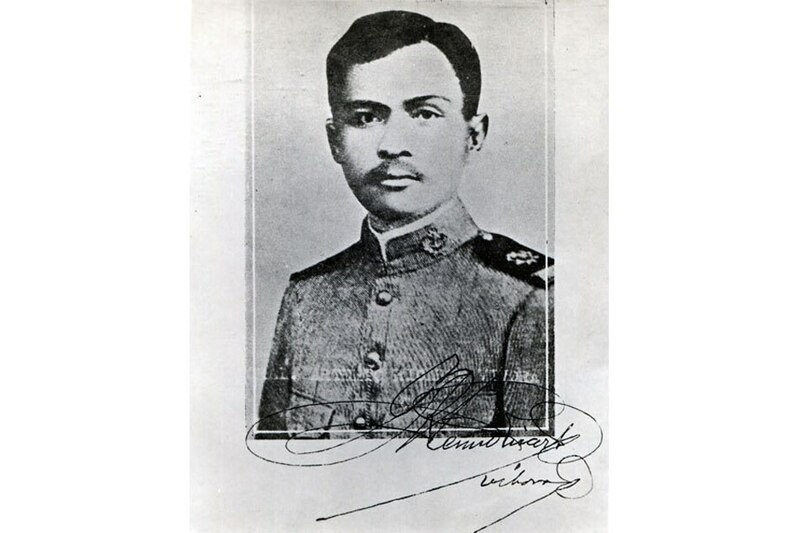 Jaime Ponce de Leon, director of Leon Gallery, received a letter from the National Historical Commission requesting that eight items be withdrawn, including a dagger that once belonged to General Manuel Tinio, a hero of the Philippine-American War. 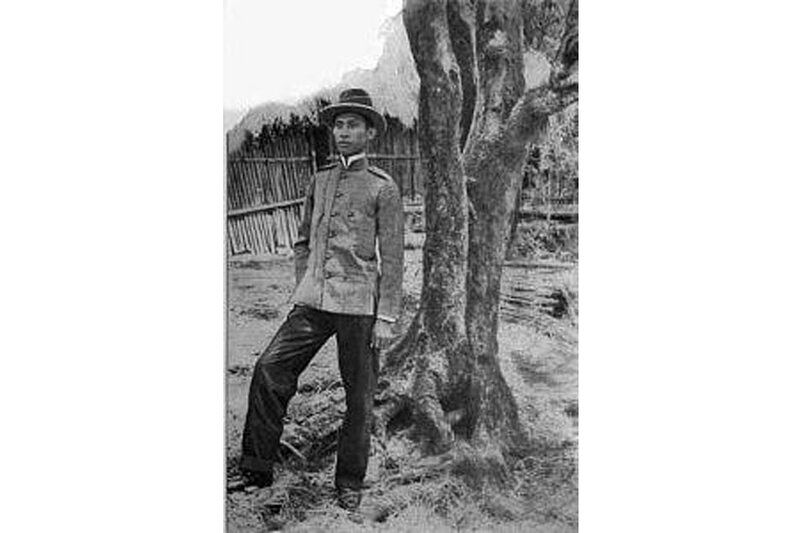 In his appeal to Ponce de Leon , NHCP acting Executive Director Ludovico Badoy asked that he hold off the sale so government itself can buy the items. But Congress, Badoy said, has to be given the time to include funding for the acquisition under its 2019 budget. 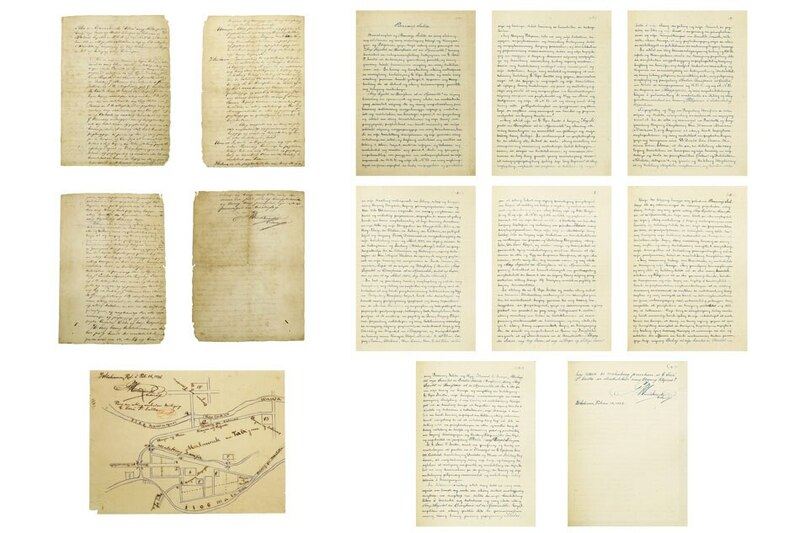 Here’s a rundown of the historic articles up for sale and are now on public preview. 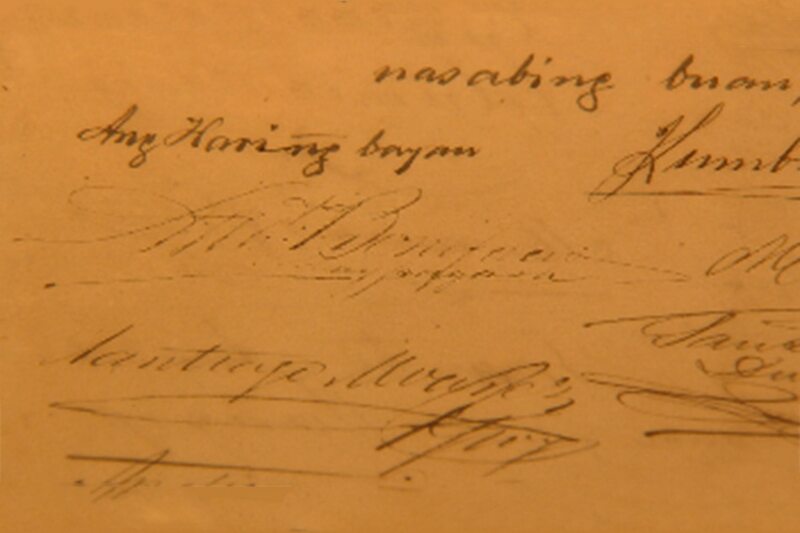 • Acta de Tejeros, signed by Andres Bonifacio and 44 others important personalities in the Philippine Revolution. 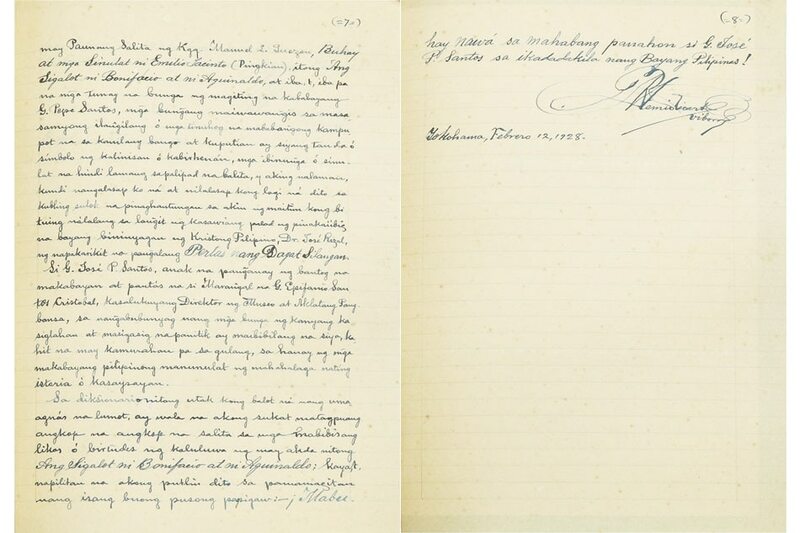 “Written and signed on the day after the tumultuous Tejeros Convention, this was Bonifacio’s outraged response to Aguinaldo’s election as President." 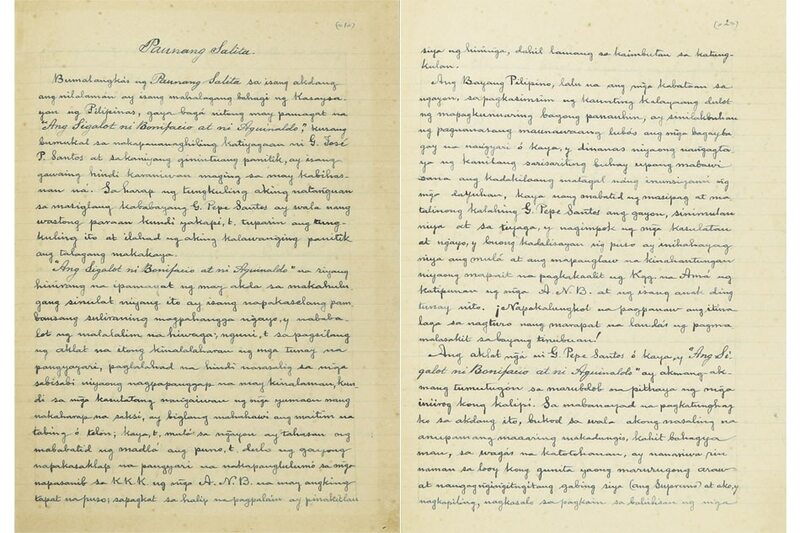 • A telegram from Emilio Aguinaldo to General Antonio Luna, dated June 4, 1899. 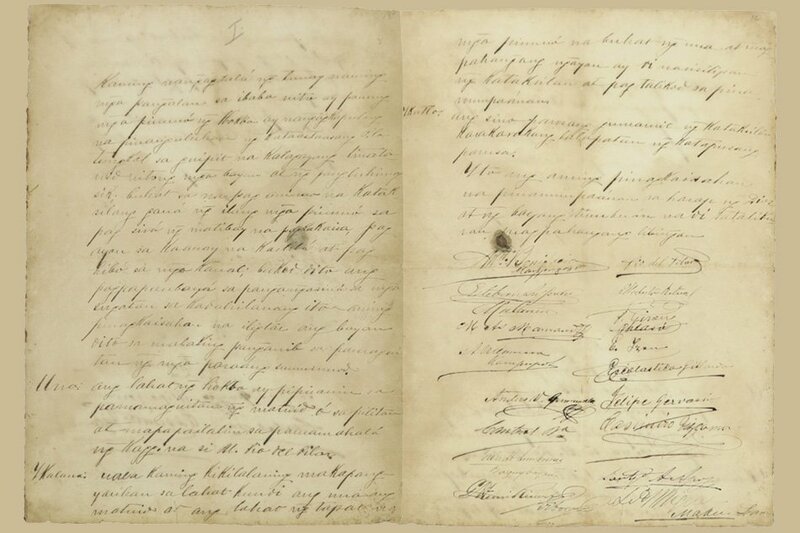 The telegram is proof that Aguinaldo sent his summons to make sure Luna went to Cabanatuan, summoning him to his death. The items’ descriptions are quoted from the Leon Gallery’s catalog for the Kingly Treasures Auction, given out to prospective bidders. The items the government wants withdrawn, have starting bids ranging from PhP50,000 for the dagger to PhP 1M each for the Tejeros and Naik documents. Ponce de Leon says he will relay the government’s request to the sellers, but ultimately the decision rests with those who own the historic pieces. 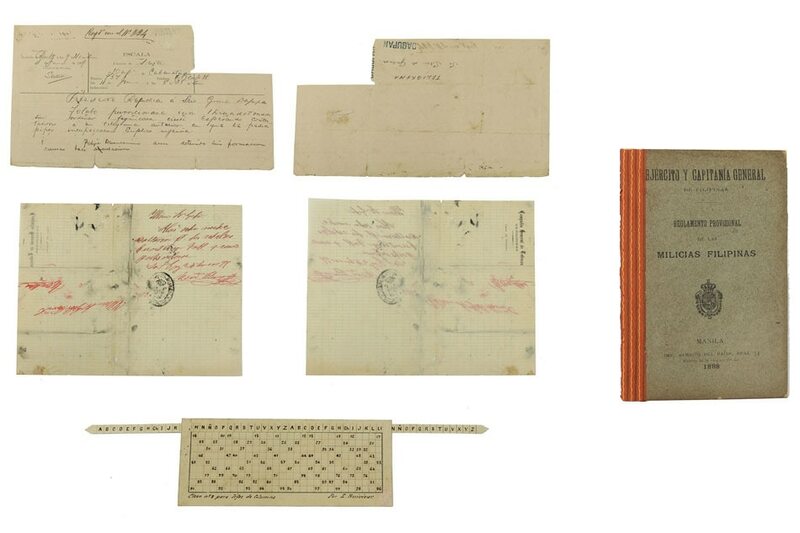 The auctions by Leon Gallery, Ponce de Leon asserts, have ferreted out a veritable treasure trove of historical documents and personal effects of revolutionary heroes that would have otherwise been lost to oblivion. 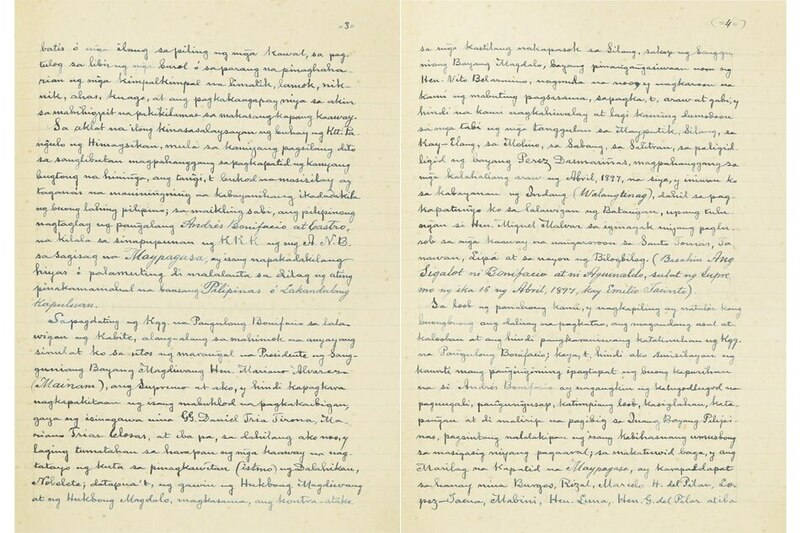 The record breaking sale by Leon Gallery was in March this year, when Andres Bonifacio’s last letter was sold for PhP5.256M (hammer price plus 16.8 percent premium). 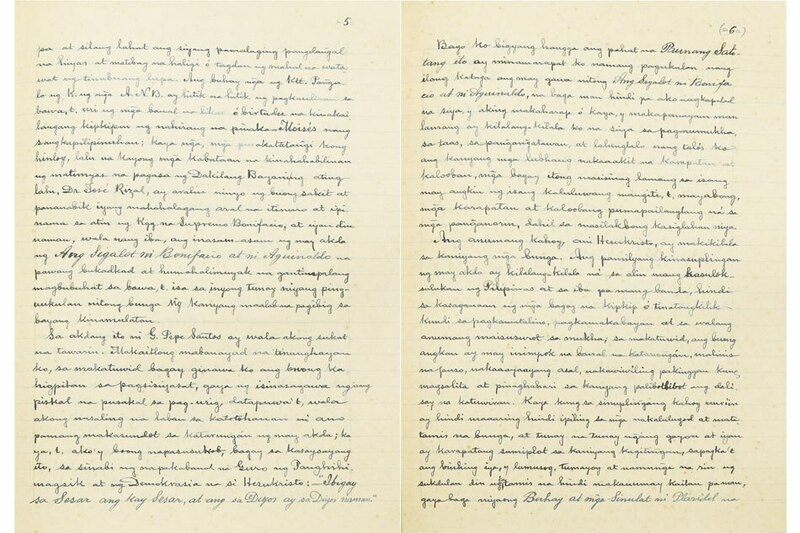 Dated 24 April 1897, it was written days before he was arrested on 27 April 1897.